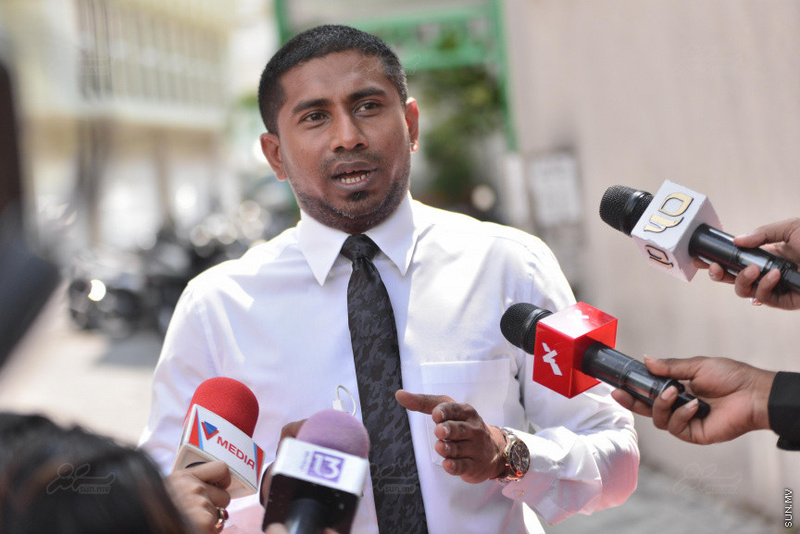 South Galolhu MP Ahmed Mahloof – arrested from the opposition coalition’s protest in Male’ City on February 22 – has filed for appeal of the extension to his remand. Mahloof was arrested under the State of Emergency. The Criminal Court granted a 13-day extension to his remand last Monday. Mahloof’s attorney, Ahmed Nazim Abdul Sattar has submitted all necessary documents to the Criminal Court to appeal the detention with the High Court. The Act on Powers and Privileges of Parliamentarians has been suspended under the State of Emergency. Attorney Nazim claims Mahloof’s detention violates Article 13 of the Act. The Act states a parliamentarian can be arrested for a criminal investigation only through a warrant issued by a superior or higher court, unless he/she is arrested red handed. Attorney Nazim said the police failed to prove Mahloof was arrested committing a criminal offense at the remand hearing.